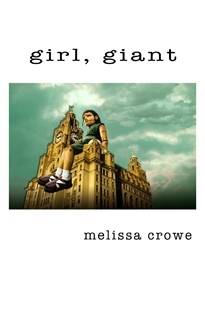 After signing a contract with Finishing Line Press, Dr. Melissa Crowe, Assistant Professor of English at the University of Maine at Presque Isle, will see her second chapbook of poetry, Girl, Giant, released to the public at the end of November. Dr. Crowe, who now focuses exclusively on online course delivery and development, has worked for the past two years from her home in North Carolina. Prior to relocating, she served as Assistant Professor of English and Honors Director on the UMPI campus from 2004-2008. It was during that time that she began writing her poetry in a non-traditional sort of way—on a blog she started in September 2006. That writing led to the publication of her first book, Cirque du Creve-Coeur. Dr. Crowe was recognized for her writing by the University of Southern Maine’s Words & Images Magazine, which awarded her the inaugural Betsy Sholl Award for Excellence in Poetry in 2011. Her work has appeared in many literary magazines, including theAtlanta Review, the Crab Orchard Review and the Seneca Review. She sits on the editorial board of The Beloit Poetry Journal. Dr. Crowe was born and raised in Presque Isle and graduated from Presque Isle High School in 1992. She received her Bachelor’s degree in English from the University of Maine, her MFA in poetry from Sarah Lawrence College, and her Ph.D. in English from the University of Georgia. She resides with her husband, Mark, and their daughter, Annabelle, in Asheville, North Carolina. Preorders for Girl, Giant can be made at www.finishinglinepress.com through Sept 27. To order, click the “Bookstore” button at the top of the page and select “Crowe, Melissa” from the dropdown menu. Orders made during this period will ship out Nov. 27.